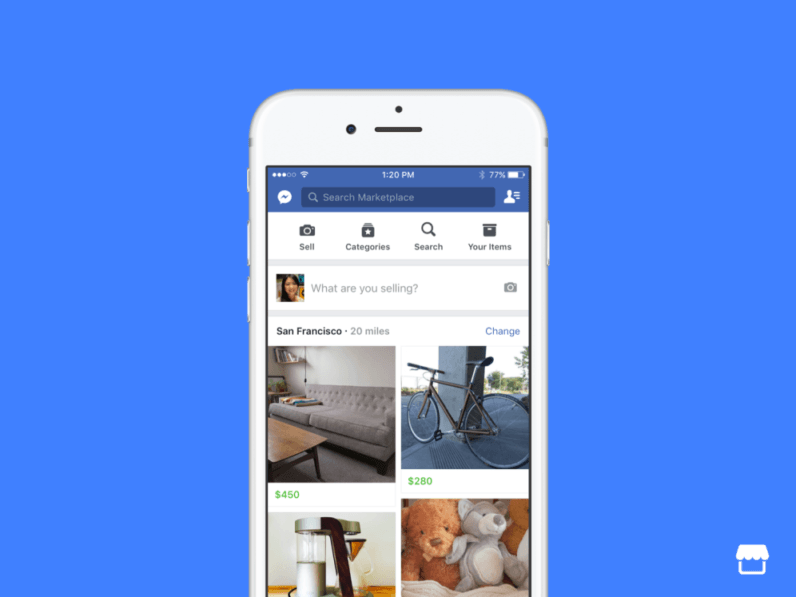 Facebook is launching a new Marketplace section to help you sell your stuff, and it works like something of a Craigslist-Lite. As soon as you open up the Marketplace – there’s a new icon at the bottom of the Facebook app – you’ll see various photos of items people near you have listed. In case a random selection of people’s junk doesn’t catch your eye, you can browse specific categories like, Household, Electronics, or Apparel. You can also search for specific items, and/or filter your results by location, category and price. Like Craigslist, you can adjust your location to see listings from different areas too. Once you find something interesting, tap on it to see a description and general location of the item. We imagine some people won’t be happy with having their homes’ locations shown on a map, even if just approximate, so we hope there’s a way to turn that bit off. You can then get in touch with the seller and make an offer for the item. Facebook says it “does not facilitate the payment or delivery of items in Marketplace,” – it doesn’t even offer Messenger’s payments feature – so don’t expect this to replace eBay anytime soon. Selling your own items seems simple enough. You take a new photo or pick one from your camera roll, enter a product name, description, and price, and then confirm your location and pick a catgory. You can see all the things you’ve saved or are selling in an ‘Items’ section. Facebook has been reportedly preparing to take on the likes of eBay and Craigslist for quite some time now, but we’re finally seeing the fruits of that effort. People were already using groups as pseudo marketplaces – 450 million people per month, according to Facebook – so this just makes the process easier. It still doesn’t cover services, say, if you want to advertise your photography business or homemade brownies, or the myriad of other categories you can find of Craigslist. Still, it wouldn’t be surprising to see some those capabilities being added if Marketplace gets off to a good start. Marketplace is rolling out ‘over the next few days’ to anyone 18 or older in the US, UK, Australia or New Zealand. It’s Android and iOS only for now, but Facebook says it will come to the desktop and more countries in the coming months.